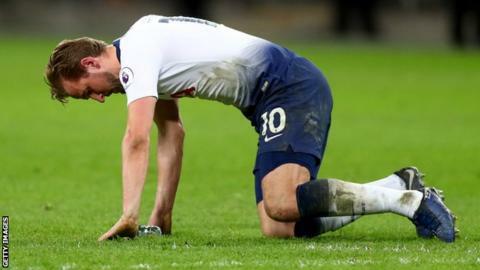 Tottenham striker Harry Kane is likely to face Burnley at Turf Moor in the Premier League on Saturday after returning to training ahead of schedule. The England captain, 25, injured an ankle in the defeat by Manchester United on 13 January. It was initially thought he would not be fit to train until early March. However, they lost to Chelsea in the EFL Cup semi-final and Crystal Palace in the FA Cup fifth round. Tottenham are third in the Premier League, five points behind Manchester City and Liverpool. Kane is Spurs' top scorer this season with 20 goals in all competitions.